Lake Morey Resort is an obvious, prime location for vacationers in the warmer weather to golf, swim, sunbathe, canoe and much more. But it is also a hidden luxury in the winter, offering tons of fun activities on-site. With the lake frozen over in the winter, the resort clears out multiple rinks for visitors to play ice hockey or simply to skate around. 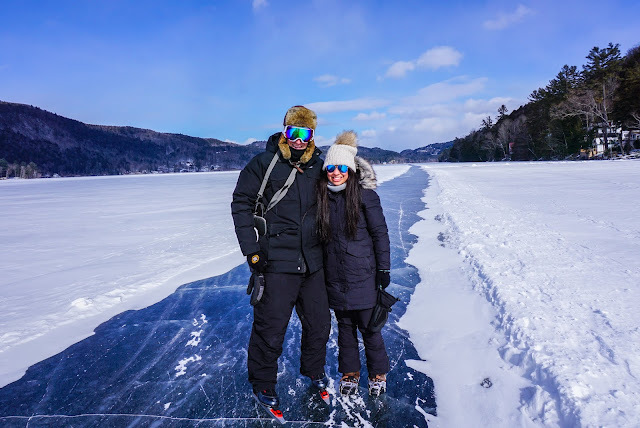 The highlight of our trip would definitely be the 4.5 mile ice skating loop around the lake, noted as the longest skating trail in the United States! 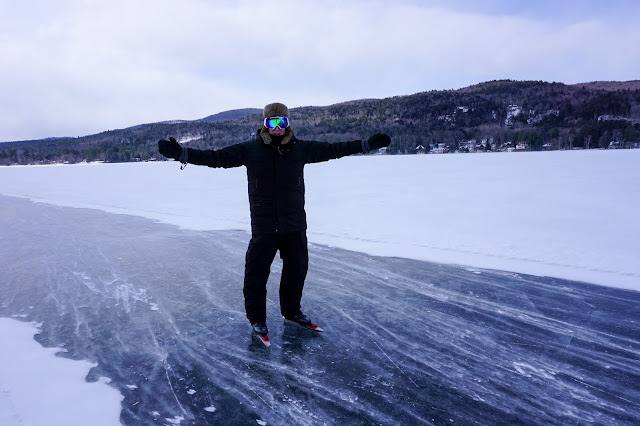 For the first time, we tried out the nordic ice skates, which allow you to glide effortlessly over bumps, tends to be much more comfortable and also gain more speed compared to regular hockey or figure skates. 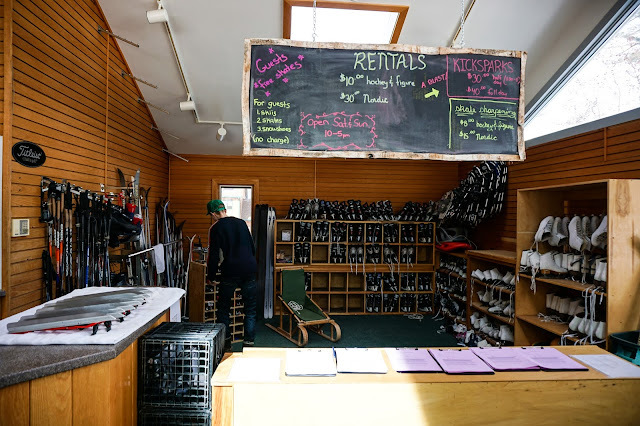 You can swing by the Skate shop on the resort property to rent the hockey, figure, or nordic skates for the day. They also offer cross country skis and snowshoes. 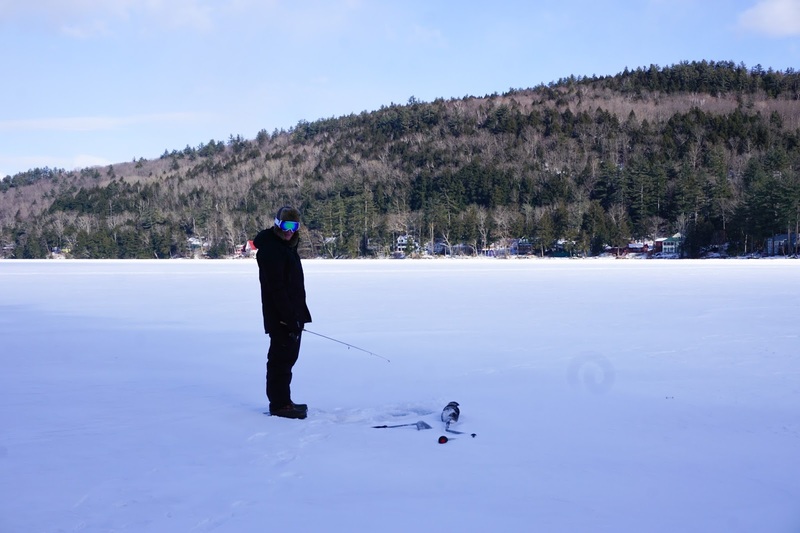 We even purchased an out-of-state license for ice fishing on the lake. 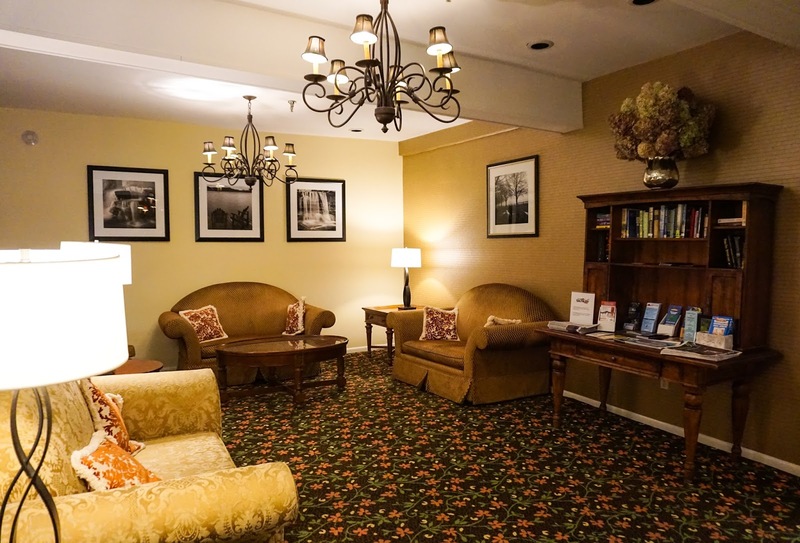 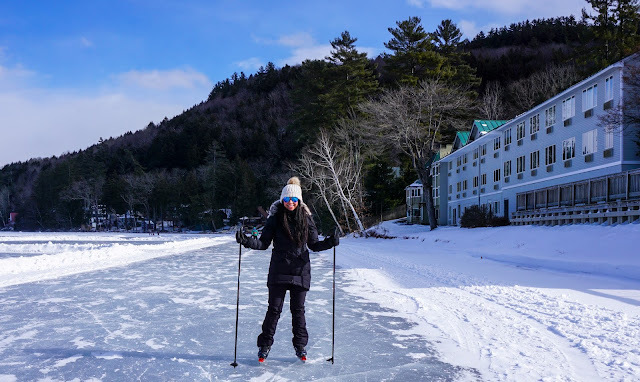 With so many fun activities, we highly recommend you stay at least 2 nights to make the most of your stay at Lake Morey Resort! 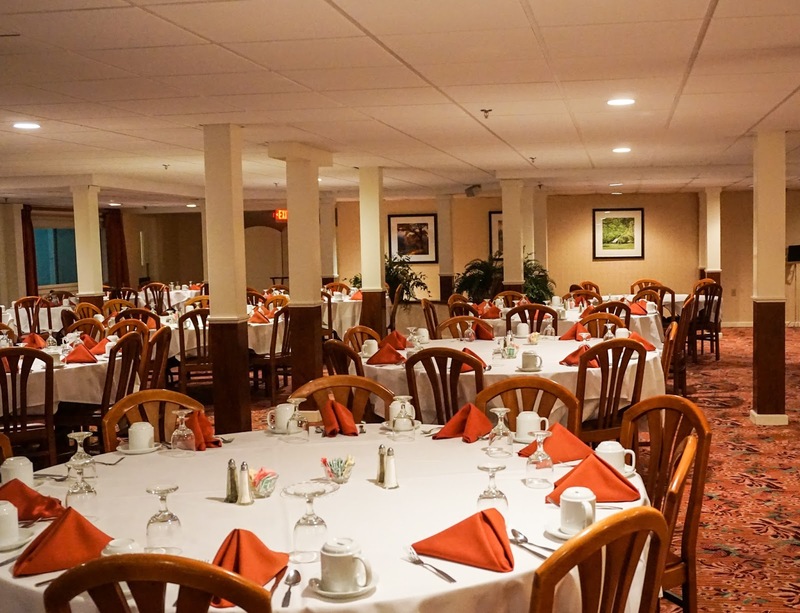 Last but not least- the food. No complaints here! The dinner menu had some great selections to chose from and the service was fantastic We enjoyed the saltimbocca chicken and short rib entrees with the french onion soups as an appetizer. 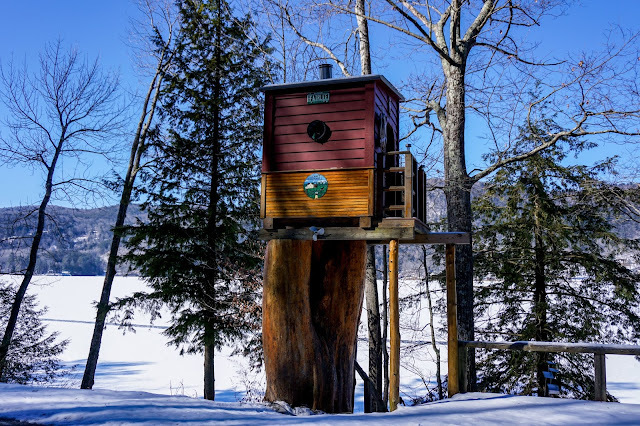 Vermont is known for its many craft breweries. 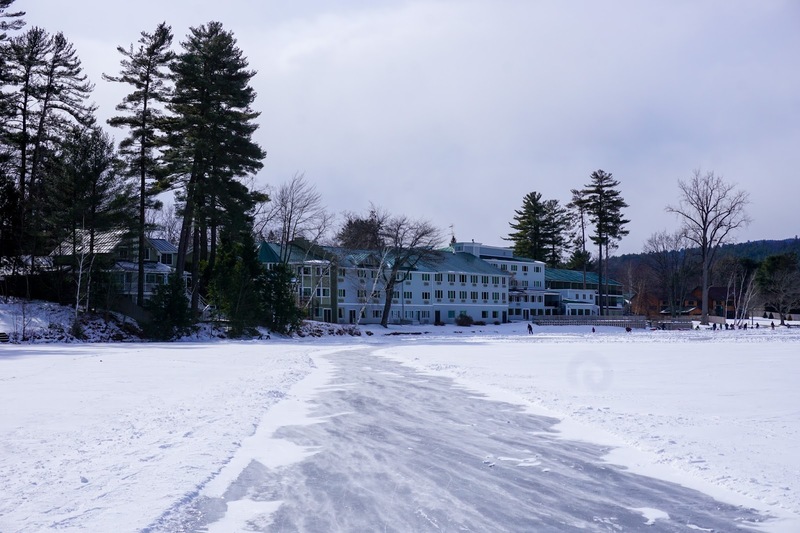 The resort had a terrific offering of beers from all over Vermont and the New England area. 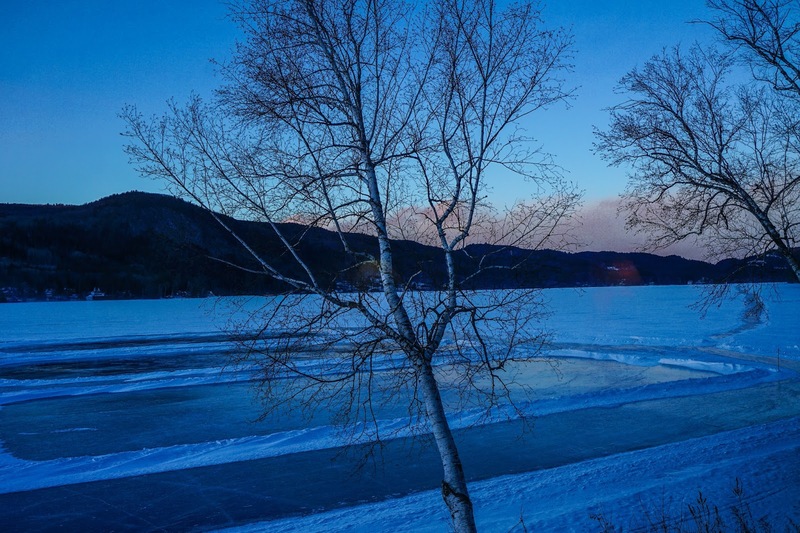 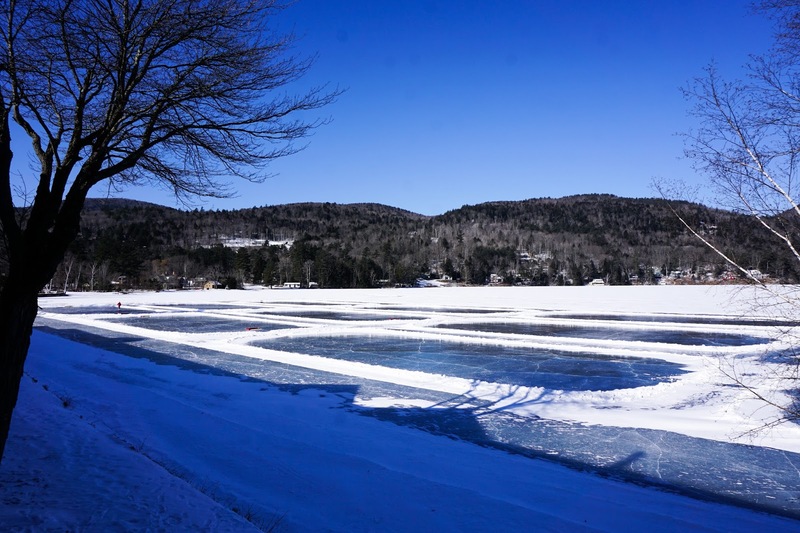 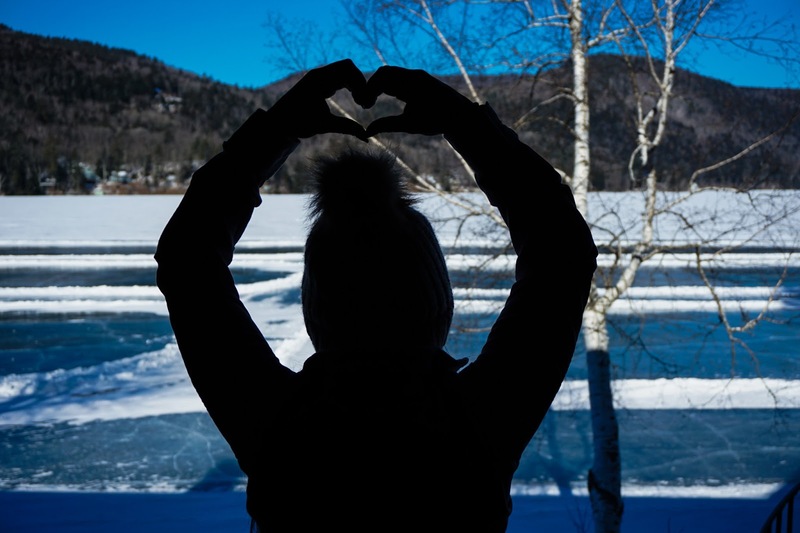 Before the season's over, make a trip to Lake Morey and enjoy the Winter Carnival fun! 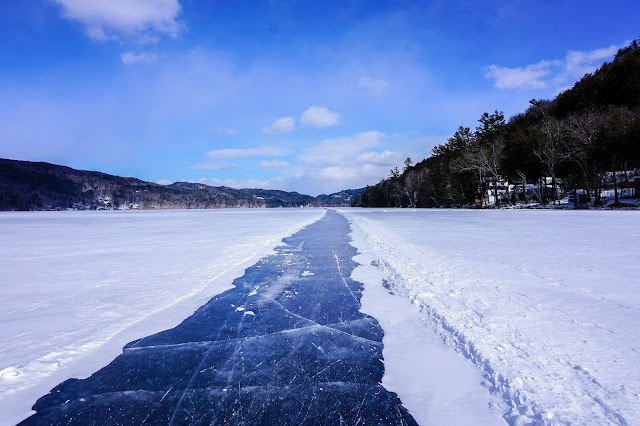 You will definitely want to check off the United States' longest ice skating trail from the bucket list this winter!